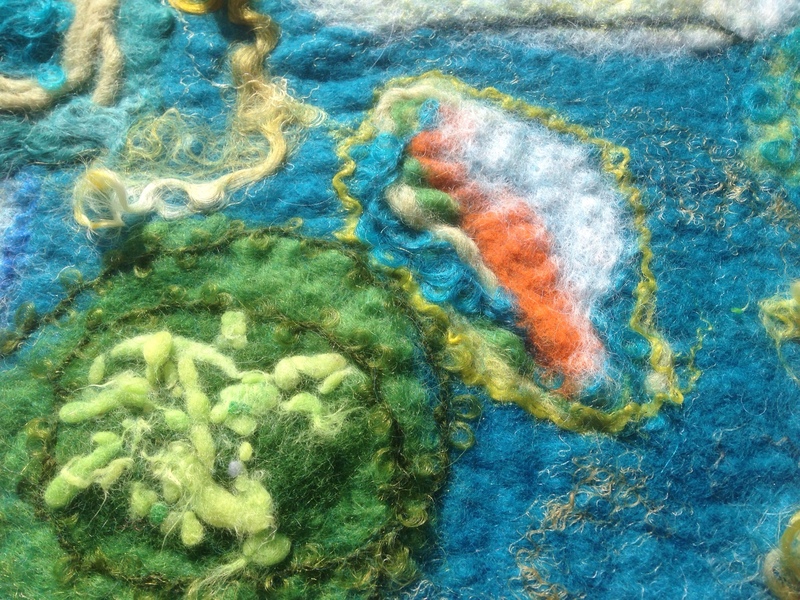 Beautiful first felt pictures and an exciting week! This past week has been one of great excitment and tonnes of work, I really don't have a minute spare this week either so please forgive me if I'm not online much over the next few days. The main highlights from last week all actually occurred on Thursday! It started off mid morning when I met with Mary Gallagher of the Blue Egg Gallery in Wexford, she has placed an order for naturally printed silk scarves and felt which I'll be delivering this week then as soon as I return from teaching in the US I'll be felting her a selection of colourful nuno mosaic pieces too. The say I'm thrilled is an understatement, Mary's gallery and shop is stunning so it's wonderful to be selected as a maker for there! On my way home I stopped at a garden centre and found a couple of healthy eucalyptus (cider gums) to add to my collection and then, when I was just casually driving along a bit nearer home what did I find??? A HUGE eucalyptus of a variety I'd not seen before had fallen during the recent storms and a few end branches were hanging out over the hedge onto the road. I nicked a few leaves, tried printing with them and discovered that they give a good outline, an interesting soft coffee coloured beige. Amazingly the tree was in the home farm of a sculptor whose brother was actually in the same class as me in national school, a text and phone call later and I'll be collecting ALL the leaves from the tree this week, wow!!! 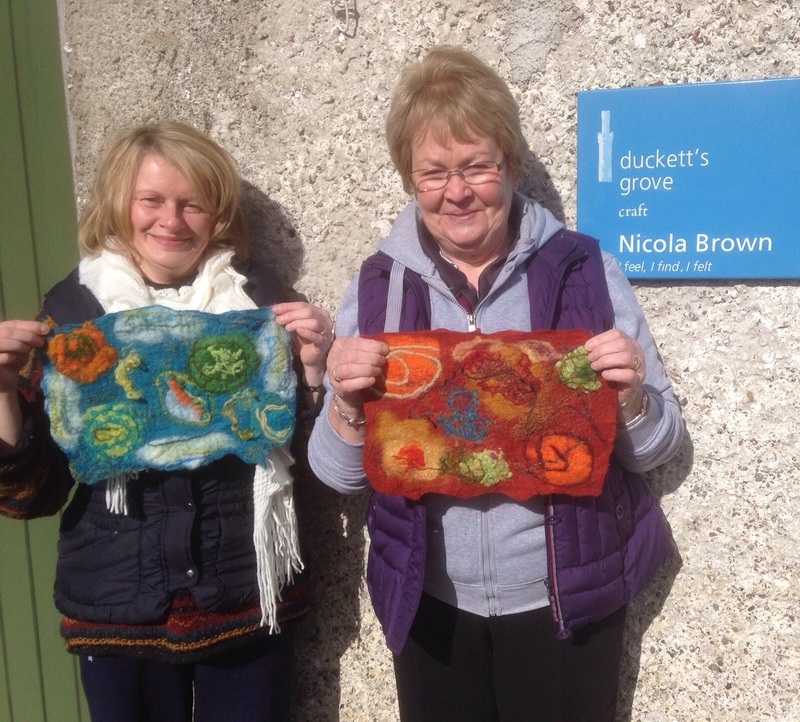 Anyway, here are a few pictures from yesterday's workshop at Duckett's Grove, didn't Bernadette and Mary create just stunning first felt pictures? Well done ladies, it think a couple of new fibre fanatics are born! 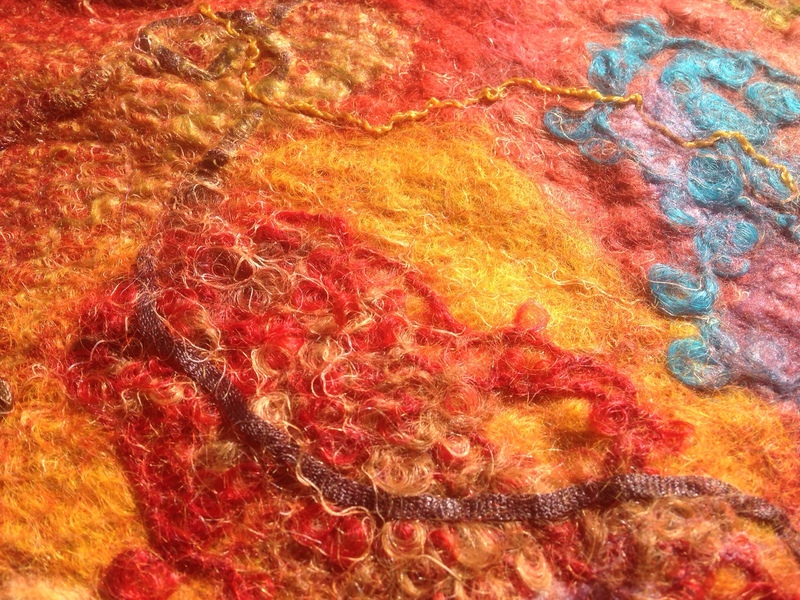 This entry was posted in eucalyptus, Felt and tagged Duckett's Grove, Eucalyptus, Felt by Nicola. Bookmark the permalink. Well, that does it….I’m moving to Ireland….You and your lucky eucalyptus finds have me green with envy 😉 I’ll never, as long as I live, spot a eucalyptus tree here in Michigan. Waking to more snow on the ground….Oh, my….will it never end? Can’t wait to head over to see you next week. I can’t believe this time next week I’ll be (frantically) preparing to head to the airport.